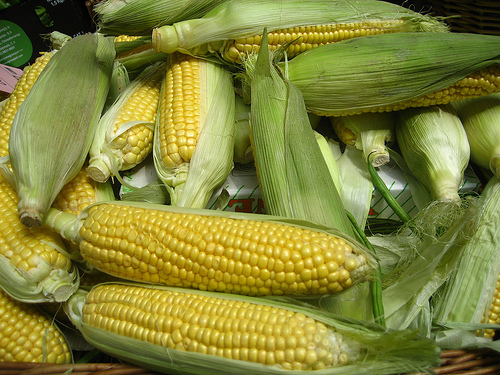 Corn is considered as the second most important crop after rice in the Philippines. A versatile crop, it finds use as human food, animal feed, and raw material for production and processing. About 14 million Filipinos prefer white corn as their main staple while yellow corn accounts for about 50 percent of livestock mixed feed. Some 600,000 farm households depend on corn as a major source of livelihood. For the past 5 years, Cagayan Valley has been the top contributor of yellow corn in terms of national production. As of 2012, the region produced a total of 1,808,784 metric tons of yellow corn for a 34.51 percent share of total production. The region was followed by SOCCSKSARGEN and Northern Mindanao with total production of 960,272 metric tons and 864,835 metric tons, respectively (BAS data). For the other regions, the effort is on increasing their own production of yellow corn and it is here that they need to collaborate with R&D partners. In the municipality of Tayabas in Quezon, corn production averages just 3.2 tons per hectare. The figure is quite alarming because it falls well below the national average of 4 tons per hectare. One of the reasons identified is lack of information on corn nutrient management in the region. As may be expected, the fertilizer recommendation for Region IV-A is very general and is not specific for a particular area. Thus, fertilizer management should be developed for specific locations and field conditions in order to attain higher corn yield and profit. The Lipa Agricultural Experiment Station (LAES) under the Department of Agriculture-Regional Field Unit IV-A, Southern Tagalog Integrated Agricultural Research Center (DA RFU IV-A- STIARC), conducted a study on October 2008-March 2011 which aims to develop economically viable and environmentally sound corn nutrient management strategies for Tayabas, Quezon. The research, “Site Specific Nutrient Management (SSNM) Strategies for Hybrid Yellow Corn Production in Tayabas, Quezon,” was part of the national program of the Corn RDE Network funded by the Bureau of Agricultural Research (BAR). The study was submitted to BAR as an entry in the 24th National Research Symposium under the Applied Research-Agriculture Category. It won the bronze award. The SSNM is a tool developed by the International Plant Nutrition Institute (IPNI) that enables technicians and farmers to tailor nutrient management to the specific conditions of farms, and it provides a framework for nutrient best management practices. During the conduct of the research for enhanced hybrid yellow corn production, refined SSNM rates were developed by STIARC-LAES for both wet and dry seasons in sites located in Brgy. Isabang and Brgy. Mayuwi in Tayabas, Quezon in October 2008 -October 2010. Results show that replacement of 23 kilogram urea with 6 packs of BIO N increased the yield by 1.4 tons/hectare during the dry season and wet season, respectively. On the other hand, replacement of 23 kilogram urea with organic manure increased the yield by 1.1 and 1.4 tons/hectare in the dry and wet seasons, respectively. After using the fertilizer specific for the area, one of the significant results was increased yield of adopters in Tayabas, Quezon and in Brgy. Bunggo, Calamba City. Results also reveal that there is an additional net benefit of using SSNM, SSNM + BIO N and SSNM + OM during the four cropping seasons. SSNM models and recommendations for various locations were developed by using softwares like Nutrient Expert and Nutrient Manager developed by IPNI. Another tool, the leaf color chart (LCC), was used as a guide in determining the rate of nitrogen application during the corn plant’s critical growth stages. Hence, using the tools contributed to the development of SSNM strategies for hybrid yellow corn production in the area. Through the conduct of the research, it was clearly confirmed that SSNM serves as an effective guide for farmers to determine, adjust, and apply the proper amount of nutrient and fertilizer that the crop needs for specific growth stages. Ms. Avelita M. Rosales, Project Proponent and Corn RDE Coordinator at Lipa Agricultural Experiment Station (LAES) said that farmers should be equipped with adequate information. “Corn farmers need to know the effect of specific practices such as proper nutrient management and fertilization on the yield of corn and the increase in income which will be derived from using the SSNM technology. Furthermore, it is also necessary for the growers to know the effect of proper plant nutrition on the occurrence of pests of diseases on corn plants”, Ms Rosales added. The SSNM also encourages farmers to utilize available indigenous nutrient sources as it is not limited to the use of synthetic fertilizers, microbial inoculants such as BIO N and gives them options in using additional fertilizers. The Leaf Color Chart (LCC), a user-friendly and inexpensive diagnostic tool was effective in indicating the corn plant’s nitrogen status and thus helped in determining the exact amount of nutrient to be given to the crop. One of SSNM’s relevant contribution to the environment is it helps in the mitigation of climate change due to the minimal use of inorganic fertilizers. SSNM technology helps in the mitigation of climate change because of the lesser use of inorganic fertilizer. The use of synthetic fertilizers contributes to the global warming as it can cause the loss of soil carbon dioxide. Also, the quick guide in fertilization that was developed with the use of SSNM will be very useful to technicians, extension workers and, most especially, to the farmers. For more information, please contact Avelita M.Rosales, agriculturist II/Corn RDE coordinator/OIC of DA-LAES, Department of Agriculture (DA), Regional Field Unit (RFU) -IV-A, Southern Tagalog Integrated Agricultural Research Center-Lipa Agricultural Experiment Station (STIARC-LAES), Maraouy, Lipa City.